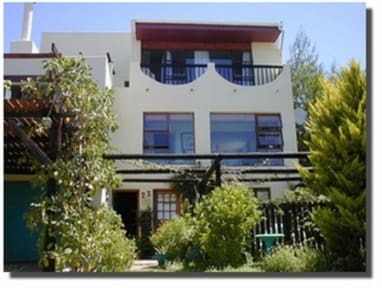 A1 Kynaston B&B i Jeffreys Bay, Sydafrika: Reservér nu! 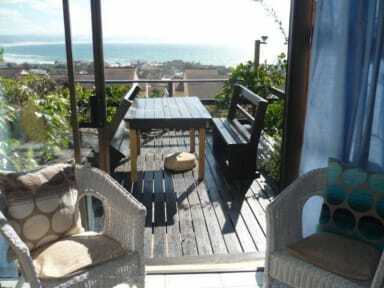 A true home from home atmosphere, set in a tranquil up market residential area of Jeffrey's Bay, with breathtaking sea views from tastefully decorated rooms, the enclosed braai (barbeque) area and private sundeck. A1 is centrally situated 500m from the beach, Although we are away from the hustle and bustle of Jeffreys Bay, we are near enough to enjoy the many facilities of this well known coastal town. 5 Tastefully decorated rooms,not all on hostel world . three equipped with a kitchenette, others with coffee / tea with home-made cookies. We offer a communal lounge with a TV where guests can meet one an other. The indoor braai area and sundeck is also available. We also have another two houses,in the same street . While one has breakfast one can gaze over the endless unspoiled beach and maybe watch the dolphins and whales play in the waves, only 500 meters away.